Image Averaging in Image Processing is commonly used in Astrophotography. We can use Image Averaging for our Digital Photography to reduce the noise. 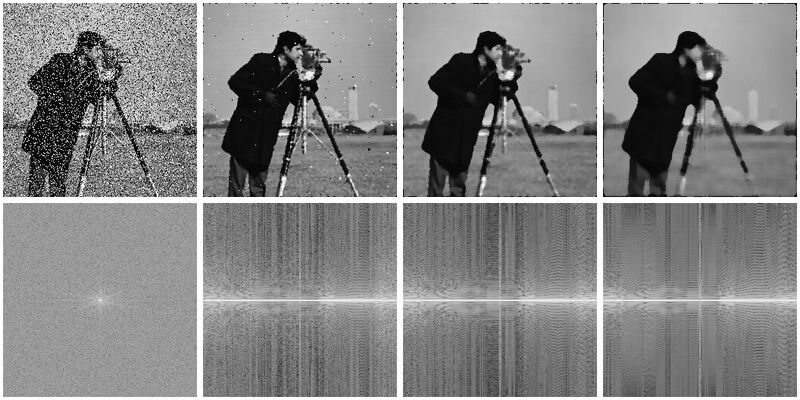 Previously, we talked with the basics like Noise in Digital Photography or discussion like article – Noise and Acceptable Values ? ?of ISO or kind of tutorial – How to Set ISO to Get Pictures Rightly Exposed Without Noise. Image Averaging allows you to reduce the noise in the digital images through multiple exposures without damaging the details, using the fact that the digital noise is completely random and is never the same in two separate photos. Considering the fact – Image Averaging technique is quite satisfactory and can be performed on Photoshop or alternative softwares, we would like explain it to those who do not know it. This technique ideally can not be used for portraits, it is ideal for still life and landscape. For Portraits : at the time of shooting, it is necessary to use the multi-shot method like the HDR Photography. So the best result is obtained by clicking on the tripod and raising the mirror (mirror lockup function) to reduce vibration. You should also lock focus and exposure so that they are consistent across the various photos. Using Photoshop gives you a feature that allows you to align layers. Obviously you have to make sure that you have the same exposure and focus in all the shots and minimum movement between shots. Here are the textual instructions to perform Image Averaging in Adobe Photoshop. You can probably do it in Gimp, only the functions and menus will have different names. First you need to open the series of pictures that you have taken as separate levels – we are considering the method we described above for Portraits. Take that a series of images in this example was taken with a DSLR at ISO 5000. There are 10 shots in the series previously treated by applying a correction of white balance and noise reduction. After opening all the images as layers one above the other, we proceed intervening opacity of each layer. The procedure is simple. Take the layer 1 counting from the bottom. For example, the first level (the lowest one) has opacity 1/1 = 1, i.e. 100%. The key to averaging in Adobe Photoshop is to remember that each layer’s opacity determines how much the layer behind will “let through” too the final result. This means that, to properly average four images, for example; one should not set each layer’s opacity to 25%. One should instead set the bottom (or background) layer’s opacity to 100%, the layer on top of that to 50%, and then the next layer to 33%, and finally the top layer to 25%. You can compare your single exposure image with with Dfine (a special plugin for noise reduction) in a fully automatic way. It seems to us that the difference in sharpness is in favor of the Image Averaging. This Article Has Been Shared 9716 Times! Cite this article as: Abhishek Ghosh, "Image Averaging in Image Processing," in The Customize Windows, January 23, 2014, April 21, 2019, https://thecustomizewindows.com/2014/01/image-averaging-in-image-processing/.